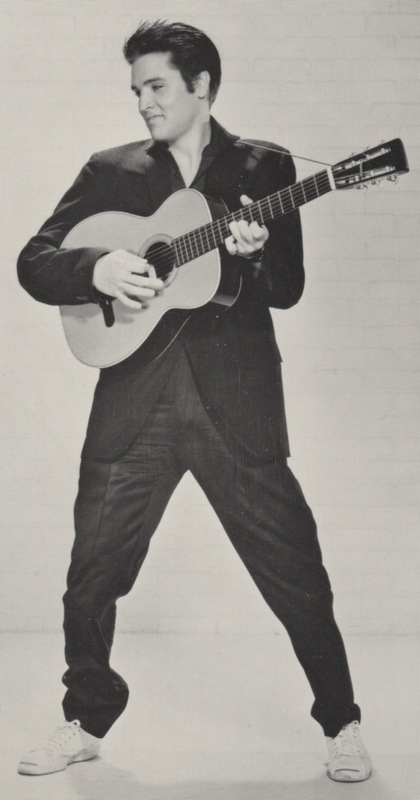 “Elvis had some kind of pet name for almost anybody who spent some time around him, an outgrowth of the baby talk routine he’d gotten into with his mother years before,” explained Elvis insider Alan Fortas in his 1992 book, Elvis: From Memphis to Hollywood. These nicknames were assigned to dozens of people, some by Elvis and others by members of his “Memphis Mafia,” which is itself a group nickname that Elvis embraced. These alternate names usually were used humorously or affectionately, although some were put-downs used behind the designated person’s back. Most were based on an obvious physical characteristic of the person being so labeled. Relatives, musicians, movie co-stars, friends, employees—all who entered Elvis’s world, even fleetingly, could potentially find themselves tagged with nicknames. 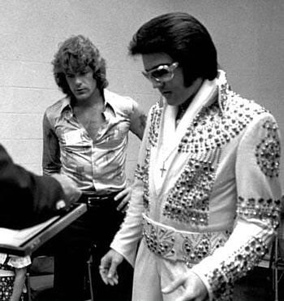 Let’s start with 10 members of Elvis’s inner circle, the “Memphis Mafia.” Within the group, virtually everyone sported an alternate name, and some had several. Check out the following list of nicknames and see how many you can identify among Elvis’s crew. Then read on to see how many you got right. In addition to Fortas’s book, some of the following information comes from the 1995 volume, Elvis Aaron Presley: Revelations from the Memphis Mafia, by Billy Smith, Marty Lacker, and Lamar Fike. 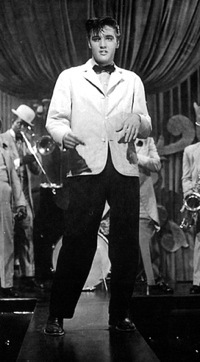 A charter member of the Memphis Mafia, Lamar toured with Elvis starting in 1957. He accompanied Elvis on his army deployment in Germany in 1958-1960. As a Nashville music company executive, he found numerous songs for Elvis to record in the ’60s and ’70s. 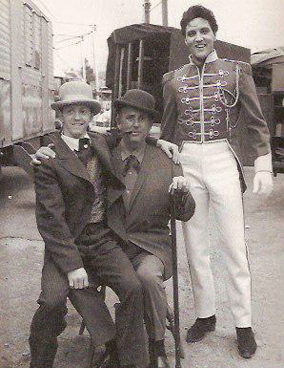 On and off for about eight years in the 1960s, Richard served as a valet with Elvis’s movie wardrobe. 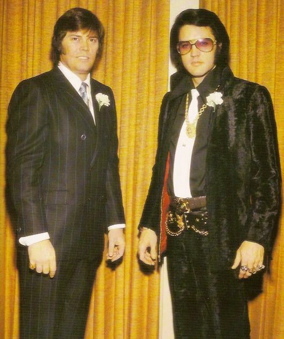 Although he left Elvis’s employment in 1969, Richard remained Elvis’s close friend for the rest of Elvis’s life. Larry became Elvis’s personal hair stylist in 1964. His interest in and knowledge of religion and the occult fascinated Elvis, who read numerous books about spirituality that Geller provided. 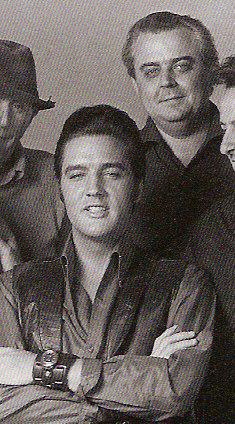 Colonel Parker and others, fearing Larry’s growing influence over Elvis, tried to get rid of him, but Elvis remained loyal to his spiritual adviser. 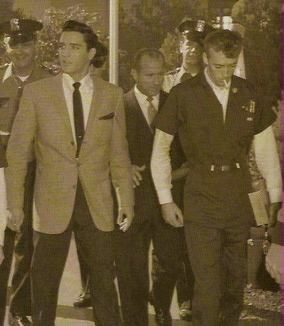 Alan was on Elvis’s payroll from 1958 until around 1969, serving as a bodyguard and general assistant. One of Elvis’s closest confidants, Alan was asked by Elvis to be on stage during the sit-down segments of his 1968 “Comeback” TV special. 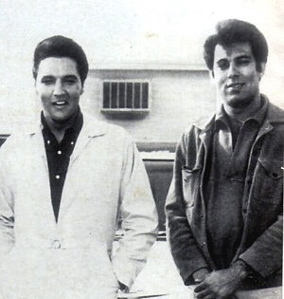 Sonny was responsible for the care and maintenance of Elvis’s cars, motorcycles, and other motorized vehicles. 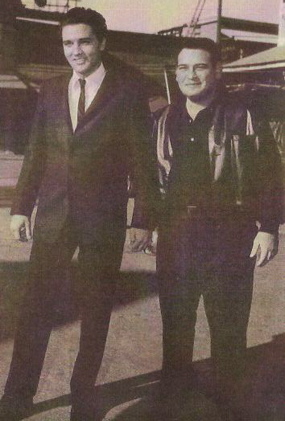 Outside of Graceland, Sonny was one of Elvis’s bodyguards. After he was fired in 1976, he helped co-author a book that revealed Elvis’s chronic drug use. 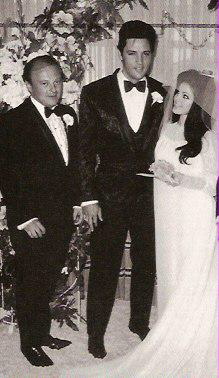 An early member of the Memphis Mafia crew, Cliff worked on movie sets and toured with Elvis in the 1950s. 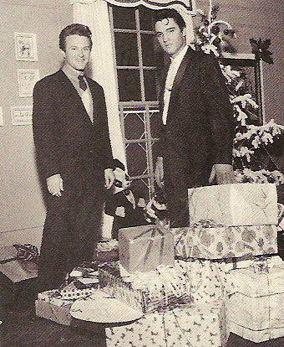 He spent some time with Elvis in Germany in 1959. For several years after that, Cliff occasionally would show up at Graceland. "These alternate names usually were used humorously or affectionately, although some were put-downs used behind the designated person’s back."